Don't use wire, duct tape, or any non-automotive means to hang your exhaust or muffler. Dynomax has the solution with hangers and brackets. Each unique hanger is designed to keep your mufflers and exhaust pipes in place, not on the road. 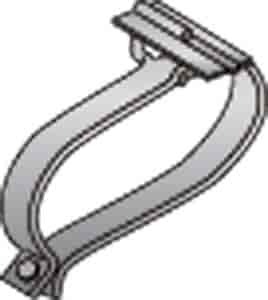 Then to properly seal or help hang your performance exhaust system, DynoMax offers a complete line of U-Clamps. Available in Standard, Heavy Duty and T-304 Stainless Steel.